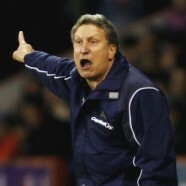 Home » Featured » Should the Bluebirds have kicked Warnock out the nest? Should the Bluebirds have kicked Warnock out the nest? So much is made of the lack of loyalty in football these days as players and managers move freely as soon as a better offer arises. The perceived betrayal is a particularly sore point for fans of the clubs involved with any wantaway players stirring up anger and strong feelings of resentment on the terraces once they leave. An overused cliche is that a footballer has a short career and they should do what they can to earn as much as possible when given the opportunity. It’s only a cliche because it has been repeated so often but it makes complete and absolute sense in most instances. If Manchester City decides to swoop on a young starlet at Forest Green Rovers it would make no sense whatsoever for that player to show blinded loyalty to the New Lawn Club and carrying on accepting a meagre wage in the depths of League Two. If an opportunity arises in football it must be taken with both hands. In that sort of scenario fans are more understanding, you just need to look at the reception Fabian Delph got at Elland Road against Costa Rica during England’s last warm-up game before the World Cup to understand that fans do accept their young stars will move on when they can’t offer them anything better. It is the move to rivals and teams in a worse off position that will make most fans up and down the country see red. The question is, however, what happens when the shoe is on the other foot and a club decides to make a ruthless decision that shows no loyalty to their employees? Neil Warnock has become a promotion specialist in the English game and after taking Cardiff up to the Premier League last season he secured the eighth promotion of his career. Warnock is a wanted man in the Championship and gives owners who are looking for instant gratification a reliable option. His straight talking and robust approach shakes teams up and gets them giving the manager blood, sweat, and tears in order to achieve the desired results. When Warnock builds a team he favours a player with physical attributes ahead of natural footballing ones. That’s not to say that the 69-year-old shuns the talented footballers that he has the option to buy but when all is said and done, Warnock needs physical players to carry out his game plan which in some ways is a throwback to a bygone era. You just had to see Cardiff take a corner in the Championship last season to realize that was the case. The ground would shake as Cardiff’s players who were six foot and above ran into the box and aggressively justled, desperate to win any ball. Few can argue how successful Neil Warnock has been in terms of taking teams up. There isn’t a manager around that can hold a candle to him and his record of eight promotions doesn’t look likely to be beaten anytime soon. It is his record in the Premier League that may have some Cardiff fans looking ahead slightly anxiously. Warnock has had three stints managing in the Premier League and his record in England’s top flight makes for uncomfortable reading if you’re a Cardiff fan. Warnock first took Sheffield United up in the 2006/2007 season and managed to see the entire season out but after 38 games the Blades were relegated in 18th position. It would be four years later that Warnock got the chance to manage again in the Premier League after taking QPR up. Warnock only lasted 20 games at Loftus Road before Tony Fernandes took the decision to sack him with Rangers lying in 17th place. Mark Hughes was appointed and kept QPR up as the Hoops finished the season in the position Warnock left them in, 17th. The last time Warnock managed in the Premier League was with Crystal Palace in the 2014/2015 season but after only four months and 16 games in charge, Warnock was given his marching orders from Selhurst Park with Palace in the relegation zone. All in all, Warnock has managed 74 games in the Premier League and has a record of 17 wins, 19 draws and 38 losses. That works out to 0.95 points per game which would give Warnock 36 points over a season and that tally will more often than not get a team relegated at the end of a season. With three weeks to go before the season starts Cardiff are the favourites for relegation at odds of 8/11. It will be a constant battle for Warnock’s men to keep their heads above water over the course of their campaign and there may be a few experienced managers out of work watching that situation very closely. Over at Infogol, they will have the latest in-depth football tips on Cardiff and their chances of survival throughout the season as they try and establish themselves in England’s top flight. 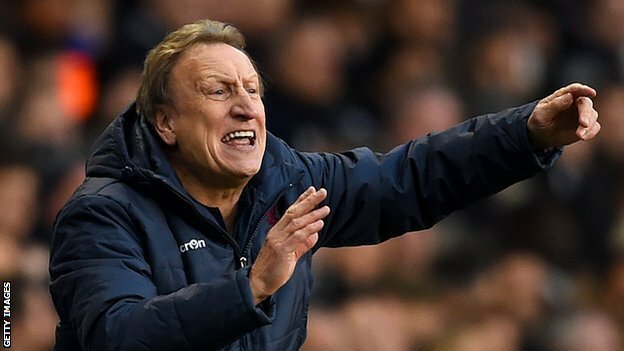 “We’re just going to enjoy it, and at my age if it goes pear shaped i’ll just leave so there’s nothing to worry about really” – Neil Warnock on Cardiff playing in the Premier League next season. There are an abundance of Warnock success stories below the Premier League but in it, if you were to be brutally honest, there aren’t any. His three managerial stints have either ended in a sacking or relegation. The 69-year-old’s teams are too hot to handle the Championship but are found out quite easily in the Premier League with his brand of football dissected fairly easily by teams with players that are at a better technical level than that of the Championship. This begs the question, were Cardiff right to stick by the man that had delivered them promotion to the Premier League? Cardiff have done the honourable thing by backing Warnock and football is better off with owners making principled decisions like the one Vincent Tan has made especially as the Malaysian businessman could have more than justified the decision to let Warnock go. Tan is rolling the dice by letting Warnock take his team into the Premier League and he would be the last person that wants to see Cardiff relegated again at the first time of asking after the Bluebirds finished bottom of the table in 2014. Tan is showing restraint now but come the first sign of the drop nest season and Warnock may well be in free fall after being kicked from the Bluebirds’ nest.